Salesforce MVP and Sr. Technical Architect at Bluewolf an IBM company. Current job profile includes architect and lead developer role for Salesforce based projects. Jitendra Zaa started his career as a J2ME developer in late 2006. Worked in many implementation projects in J2EE and ASP.Net technology till 2011. 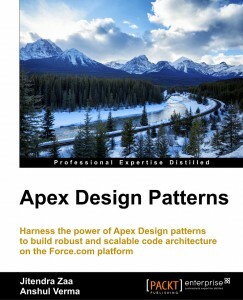 In 2008, he was introduced to Salesforce as a part of requirement to integrate Atlassian JIRA with force.com. And from 2008 till today, he has worked on many Salesforce implementation projects as a Technical architect, Consultant and Lead developer. He owns all Salesforce Certifications except Technical Architect [waiting for Board Review]. 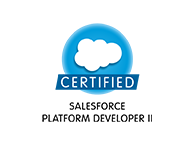 In 2014, awarded as Salesforce MVP by Salesforce. Completed four year degree course offered by RTM Nagpur University for Computer Engineering. Was one of the top five university toppers in last four semesters. Also, first winner of national level paper presentation on Genetic Algorithm in 2007. Being Sr. Technical Architect, my role in Bluewolf is to look over team of Technical Architects, making sure project delivered with highest possible quality, and ON time. Looking into latest products released by Salesforce and how it will benefit Technical Architects, Developers and Clients. I have been part of many successful Salesforce projects delivered by Cognizant. Have played many different roles like Technical Architect, Sr. Consultant and Lead developer. Currently working as an Architect with one of largest healthcare client in USA with billions of records and 20+ integrations. I was part of ORMB team responsible for design and development of ORMB tool used by Insurance Companies. I was selected as a part of Campus recruitment by Globallogic and worked on diversified range of technologies. My assignments included J2ME, Atlassian JIRA, J2EE, ASP.net and Salesforce based projects. 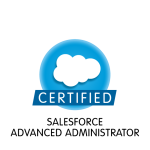 Trailhead is a new way of learning Salesforce, with gamified learning paths that make learning the platform accessible and fun. Jitendra is few of the most talented and techie CRM Consultants I have ever had the privilege of knowing. He is a gifted and prolific coder with a remarkably deep knowledge of .Net and SaaS platform APIs. He has got innovative mind ability to complete all work assigned to him on time. Such kind of target-oriented and focused attitude is must to prosper in today’s competitive world, he is a person who can play any role in team as per the project demand.He keeps himself up to date with new features in SAAS world and always encouraged us to vote for his Ideas. He is a real asset for any organization. Its is rare to find a team member who is so self motivated, ready to work on any technology, a never say NO attitude. Jitendra is one of them. It was always pleasure working with Jitendra. My first assignment with him was on the Salesforce.com where we both were new and inspite of that the outcome was beyond expectation. Also, one of the rarest quality of jitendra is to seek constant feedback for the improvement .. not only for himself but also for the team.. If things are not going as planned then he never hesitated to bring rather than leaving it to managers. Keeping everything documented, giving presentation to team are some of the good qualities he has exhibited while working with me. I always enjoyed working with him and in future i will always love him to be part of my team. Jitendra joined in the BPA team as a software engineer while I was working on Employee Induction process automation project. Right from the first day, Jitendra impressed not only me but the entire team with his dedication, Java skills and technical knowledge. Post that, Jitendra has always impressed everyone with his work - delivering before time, finding solutions to known problems and so on. In a very short period of time, Jitendra has become a go-to person for any technical matters in the BPA team and is an indispensable resource. It's been my pleasure to work with this star. I highly recommend Jitendra as an extremely dedicated, hard working and technically competent engineer who is really adept at any technical problem - big or small. In any new project, if I had a choice, he would be the first resource on board in my team. Wish you all the best Jitendra and keep your thirst for knowledge and learning always this ways! I recognized Jitendra through his efforts of sharing knowledge across community with the blogging medium. His blog manifest his journey and is self explanatory in nature, clearly demonstrating his growth from software developer to a dedicated sales engineer/consultant role. Jitendra is fairly active towards advocating force.com platform and offer learned approach through his writing medium which is rare. Browsing through articles he have written, have had helped me in person, carving out solutions in my career. Jitendra is self-driven and guiding in nature of his work and inspire other developers, to go over the edge and share knowledge across the board.As a judging member of the MVP program at Salesforce, I went through his efforts and carefully watched his involvement in developer community, platform advocacy and self growth. Evident of fact, he was entitled as Force.com MVP, and he represents title strongly till date. In person, I find him business easy and clearly his qualities makes him an asset for future saleforce endeavors .